The xmas holidays have this high value: that they remind Forgetters of the Forgotten, & repair damaged relationships. 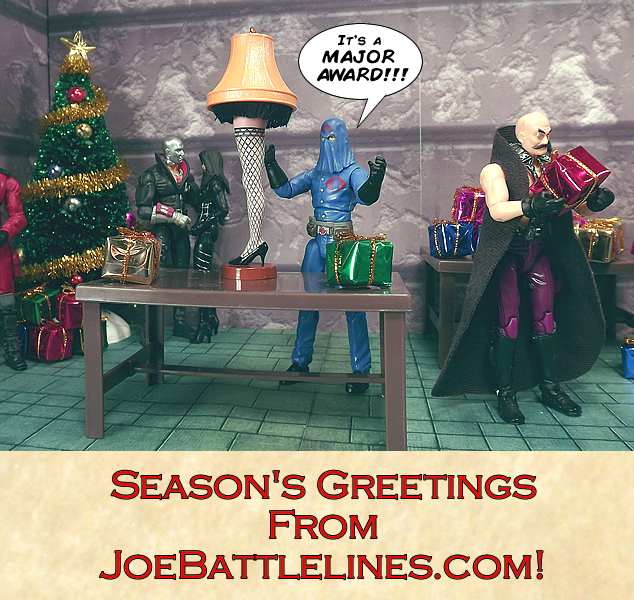 So have a safe and happy holiday, don’t shoot your eye out, and thank you for visiting JoeBattlelines.com. We look forward to celebrating the 50th Anniversary of G.I. Joe in 2014!